DMI uses sophisticated pipe fabrication technology in creating decidedly superior steel piping systems. Our services are suited for power, petroleum, and chemical industries among others. DMI’s pipe fabrication facility is located in close proximity of a key rail spur and the Port of Baton Rouge. This enables rapid and convenient national and worldwide shipping. On-site, DMI is equipped with carbon steel as well as alloy pipe bays and has a maximum height under hook of 21ft and 15-ton overhead crane capacity. Our service offerings include in-house detailing, and Lump Sum and Unit Prices (73 Price Book as well as per-weld rates). DMI utilizes ISO Express© software-advanced technology for our comprehensive material control and documentation system. This further enables us to uphold our stringent quality standards. DMI is dedicated to pipe-fabricating services and associated pipe support fabrication. 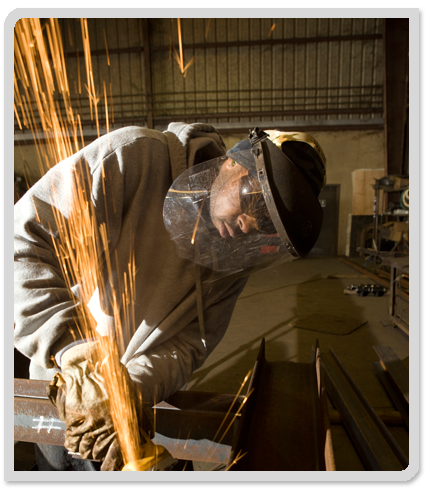 We utilize the GMAW, GTAW, FCAW and SMAW methods of welding a variety of material including p11, p91, p22, nickel, stainless, hastalloy, chrome-moly, super duplex and carbon steel at our Louisiana facilities. Preparation of Fabrication Drawings / Isometric drawings. Complete Fabrication includes marking, cutting, rolling and welding as per the required codes / standards. Welding as per relevant code using certified welders. Hydro test and all other Non Destructive Tests. Pickling & Passivation of Weld Joints (for SS & Duplex materials). Complete QA/QC Documentation and as-built drawings. Pipe support fabrication includes shoes, saddles, base-l and any other welded supports. (120) DMI Pipe Fabrication has been performing pipe support fabrication of all supports, pipe shoes, saddles, sole plates, and miscellaneous welded supports for over 45 years. We draw from our rich experience to offer you solutions for your most challenging and exacting requirements. We have several standard designs that meet a wide range of pipe sizes, or we can fabricate custom supports to your specifications in small or large quantities. DMI is capable of offering a myriad of finishes such as bare carbon steel, hot dipped galvanized, inorganic zinc coatings or a combination of any of these finishes. DMI is ready and willing to provide your pipe fabrication or pipe support fabrication needs throughout North America. Our highly skilled pipe fabricators are steeped in fabrication know-how. Most industries look towards us when they need the best pipe fabricators on their project. If you have any further questions about our services, standards and capabilities, please contact us today.